Crafters of all ages will delight using this fun stamp set in their projects. The artist at Bugaboo Designs creates a unicorn out to celebrate any special occasion. This set includes many design options. Because we offer fine, transparent PNG and JPG images, you will easily be able to create digital scenes on your word processor, and place the design elements and accessory images, exactly where you’d like them to appear, and in the sizes that work for your designs. Coordinate “Unicorn Party” with our other fine digital sets and papers, but most especially, with “Cupcake Rainbow” by the same artist. Design Ideas: Pair this set with the darling “Cupcake Rainbow” (link below). Sparkle N Sprinkle sells several colorful Digital Papers (links below) which are perfect for this stamp set. 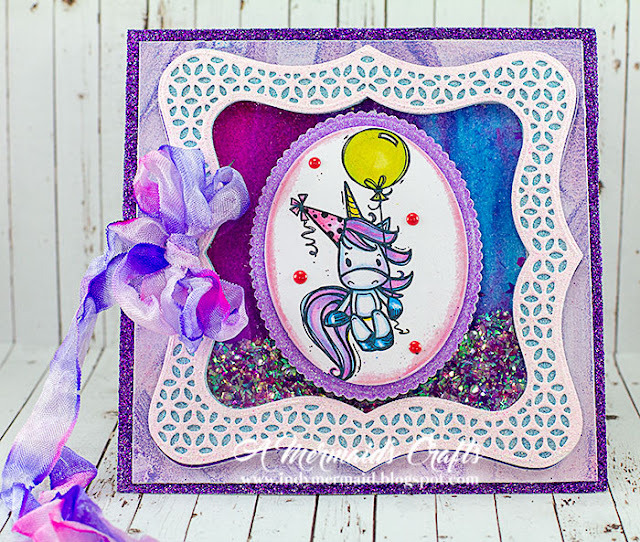 Create a border or background with the tiny star, balloons and cupcake. 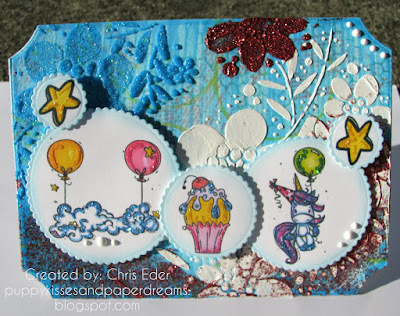 Position the clouds to disappear in the background, or add the balloons to make a special, customized paper. The rubber stamp set for “Unicorn Party” is available here. The digital bundle for “Cupcake Rainbow” is available here. 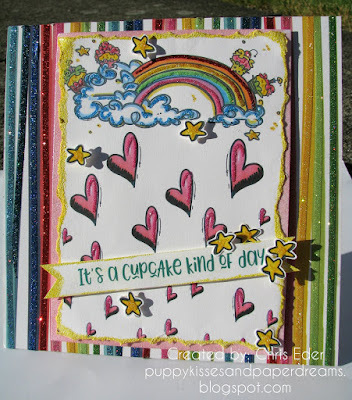 The rubber stamp set for “Cupcake Rainbow” is available here. The following Digital Paper Packs look great with this set! Digi4004FS Rainbow of Pastels located here. Digi4003FS Watercolor Papers Purple-Pink-Green located here. Digi4002FS Watercolor Papers Blue-Green located here. Digi4001FS Vibrant Watercolor Papers located here.